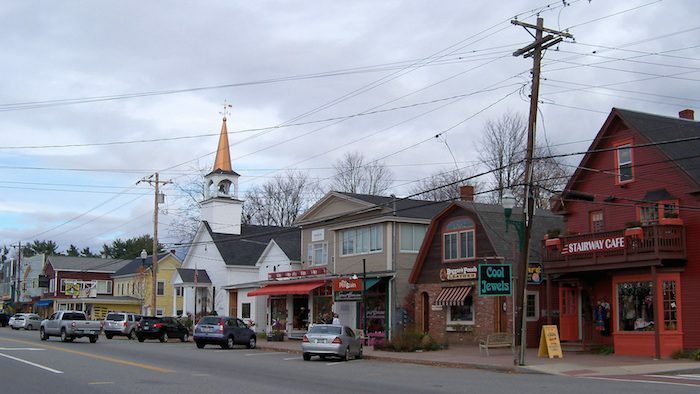 If your runs thrive on the energy of populated areas, look no further than this loop of North Conway village, which will take you around the perimeter and through the center of this quaint New England town that integrates hip with classic. Park anywhere downtown where there is roadside or metered parking, and head east out Kearsarge Road until you reach Intervale Cross. From the village of Intervale, head back south on the shoulder of White Mountain Highway which will bring you back into the heart of North Conway. Now that you’ve worked up an appetite, you can enjoy a bite at one of the town’s eclectic eateries or a beer at the local brewpubs. Our run of North Conway village can be combined or integrated with several nearby routes, such as Whitaker Woods.